From the grandeur of a palace in the double mahogany front doors, foyer, formal living room and dining room to the casual elegance of the breakfast bar or wine tasting counter, spiral staircase and family room fireplace, this home offers warmth, beauty and an aura of romance. It sits on more than half an acre in a park-like setting of palm and pine trees bordering the 13th hole of the Raven Golf Course. Uncompromising quality is evident in exquisite tile and wood floors, crown molding, surround sound, architecturally interesting ceilings in unexpected places and abundant large windows. The gourmet kitchen sports fine wood cabinetry, stainless steel appliances, double ovens, a prep sink and expansive granite counters.The spacious open floor plan, lanai and outdoor spaces beckon entertaining on a grand scale. A recently resurfaced swimming pool and spa area with waterfalls offers the most tasteful statement in elegant outdoor living. This resort home also features a Master Suite reading nook overlooking the lanai, media room, generous storage space, spacious garage with office space, and lock-off guest suite with kitchenette. 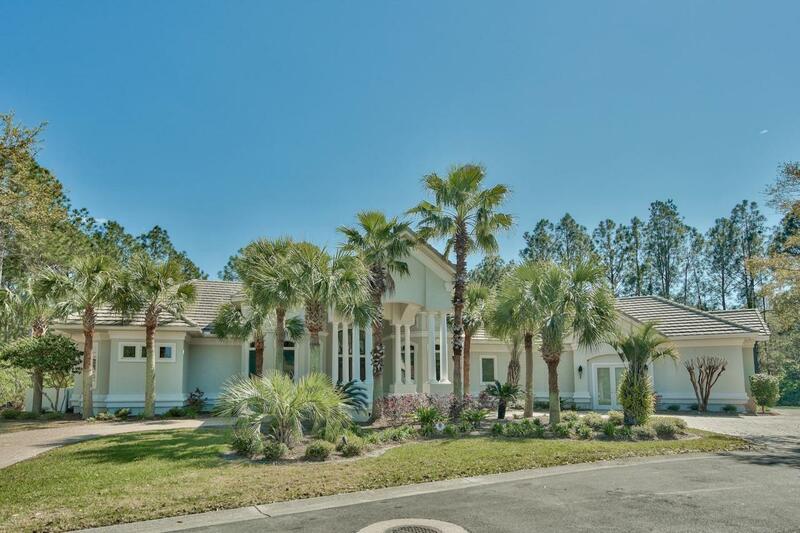 This property is in a class by itself with access to Sandestin Golf and Beach Resort amenities, home security system, in-home safe and the advantage of being in a gated community within a gated resort property. Safe, secure and stunning. The home is offered furnished with small list of exclusions.